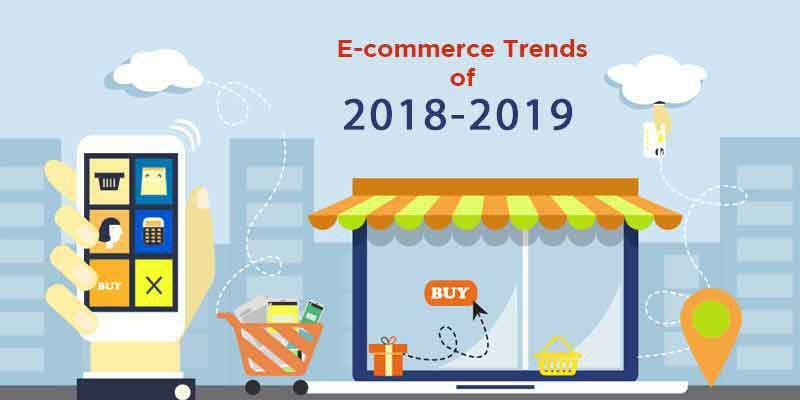 E-commerce Trends: 2018 is around the corner and we have already witnessed some radical changes in e-commerce. Mobile users are increasing every day, product customization is picking up the pace, and competition is higher than ever. A few of these trends are also going to stay in 2018 and some will disappear. In this blog, we will discuss the e-commerce trends that are going to hit 2018 next year and some that have been here and ain’t gonna go anytime soon. It already sounds interesting! It is expected that the total number of AR and VR users will reach nearly 200 million by 2018. We already have a business who are providing radical user experiences through AR and VR. Businesses are using new technology to create new customer experiences. We would like to see what else it could do. AR and VR will definitely welcome e-commerce with arms wide open. Its increasing customer base will open up many business opportunities and we believe e-commerce will definitely step in. Customers can get a 3D view of the product they are going to buy. They can check if a particular furniture will fit in the space or not. They can compare products in real time. Its application is huge if employed the right way. It is going to revolutionize the shopping experience of customers and the way e-commerce does business. We have already witnessed how online usage shifted from desktop computers to mobile devices. Today accounts for more than half of all web traffic and growing. But, it’s a surprise that when it comes to online shopping, mobile devices still didn’t make the cut. Online shoppers still prefer desktops over mobile devices for shopping because of the lousy mobile shopping experience. However, businesses are doing their best to offer the best shopping experience on mobile. In 2016 nearly €230 was garnered from online transactions. It was found that although mobile devices accounted for nearly 60% of all session, it’s revenue generation was only 40% of the share. From this, it can be concluded that mobile shopping is picking up the pace and will continue to grow in 2018. Subscription-based services have proved that it can be effective both for the customers as well as businesses. Just like Amazon did it with Amazon Prime. It offers flexibility to users and garners recurring sales for the businesses. In 2016 the subscription-based services accounted for over $157 billion. Also, the projection is that in 2019 it will be over $201 billion. Not just services, products too can be sold on a subscription basis. The Dollar Shave Club garnered $615 million in just 5 years by selling razors on a subscription basis. The personalized shopping experience is already a real thing now, however, it’s going to be big in the coming year. Banner marketing, remarketing, email marketing, etc is part of the personalized shopping experience. The idea is to cater customers with products and services are more interested in. Create personalized shopping by tracking customers browsing habits and previous shopping experience. Amazon did it best by recommending products similar to they bought before. In coming years we are going to see more of this. E-commerce business will cater more to the customer by predicting their individual interest. One platform will act differently for different customers. With advancing technology, product customization has become more accessible and simpler. Consumers today want customized products for everything from gifts to shoes and also for makeup items and furniture. 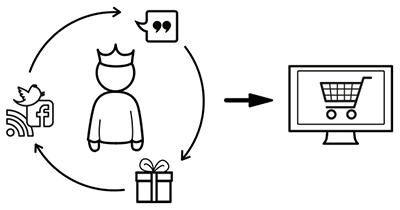 Personalized products give a sense of ownership because customers create their own products. It also adds value to the products hence, customers will most likely pay more for the customized product.